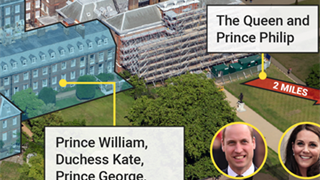 It's a little bit comical to see a member of the British royal family out of context in the "real world." 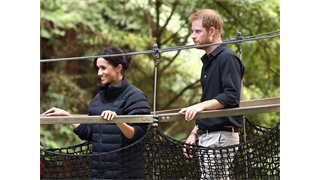 But when they're not waving to crowds on walkabouts or participating in formal ceremonies, royals are just like us. 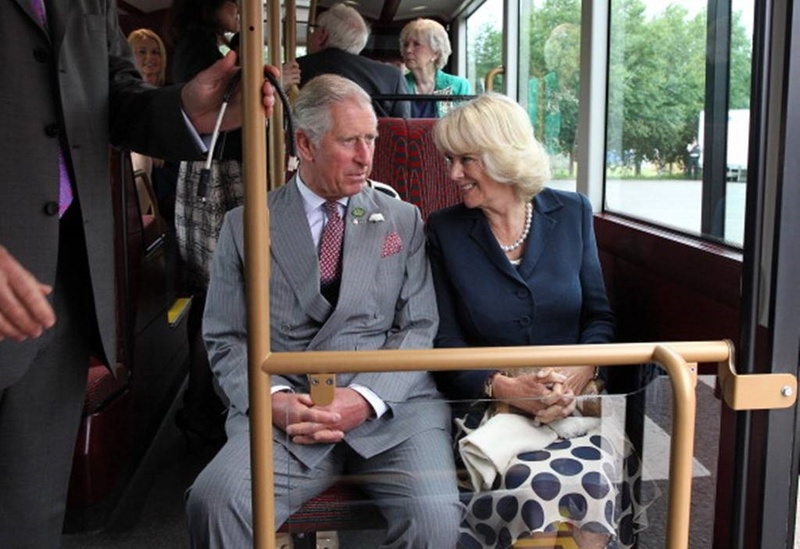 In honour of Prince Charles' 70th birthday, here are 22 amusing photos of him doing commoner things. 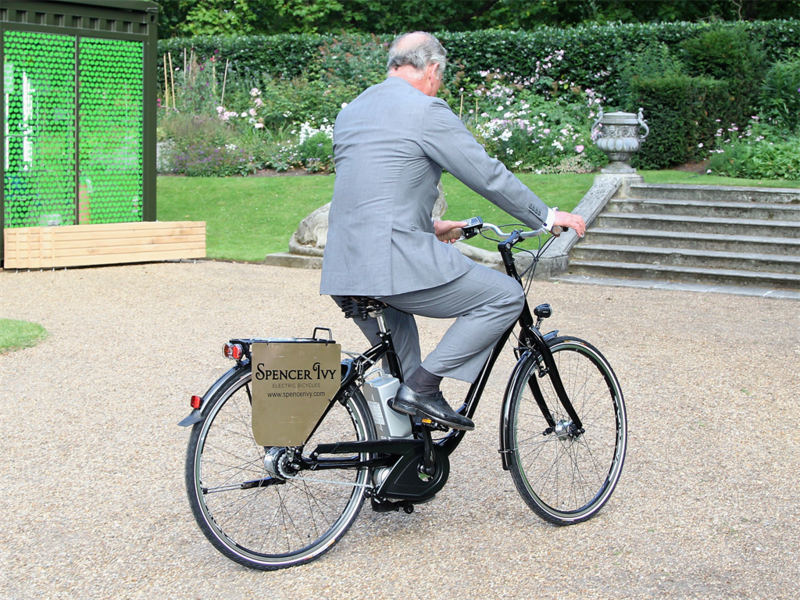 Prince Charles rode an eco-bike at a preview of an exhibit at Clarence House in 2011. 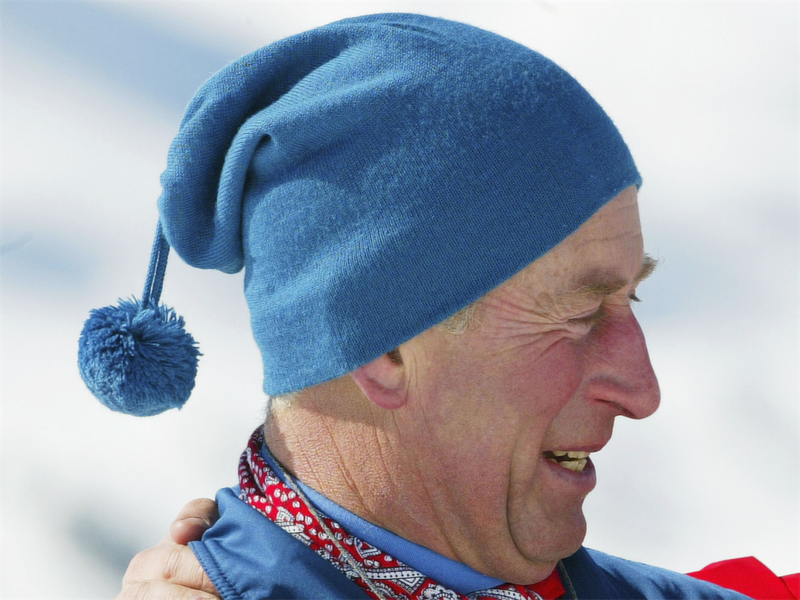 Prince Charles went skiing in the Swiss village of Klosters in 2004. 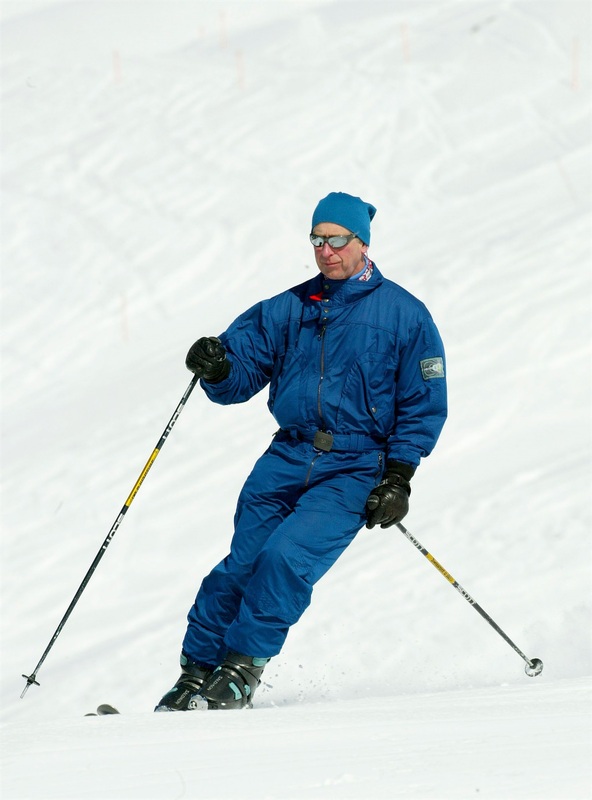 And wears warm hats on the slopes. The pom-pom was a nice touch. 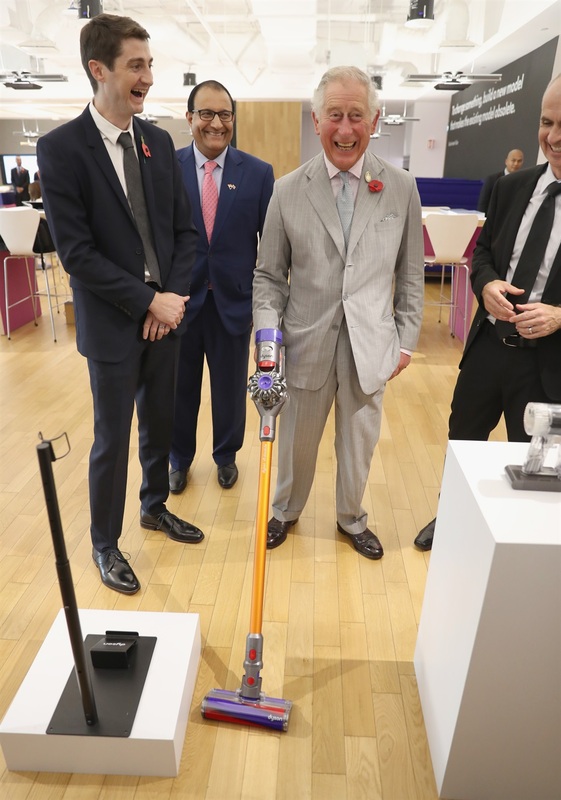 Prince Charles had a laugh while testing a new Dyson V8 Absolute vacuum cleaner in 2017 in Singapore. 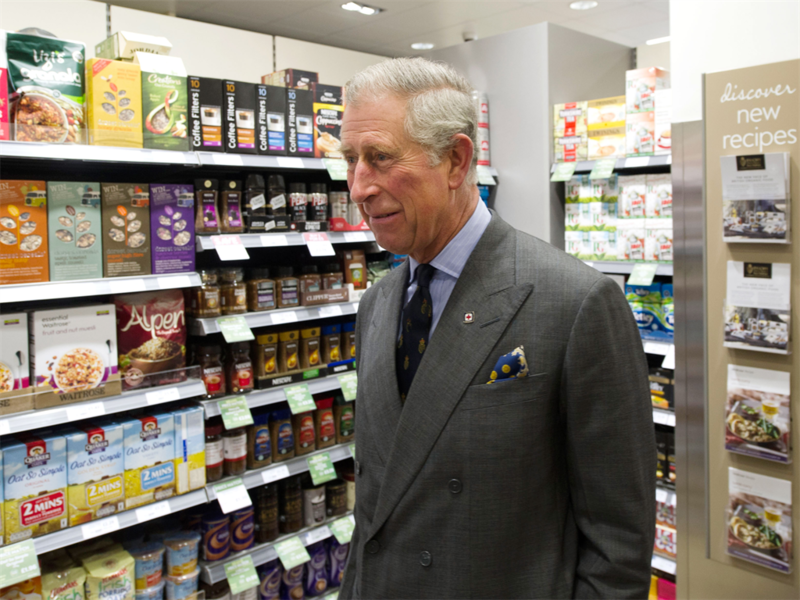 Prince Charles visited Waitrose supermarket in 2011 in Poundbury, Dorset. And picks up new pairs of socks. 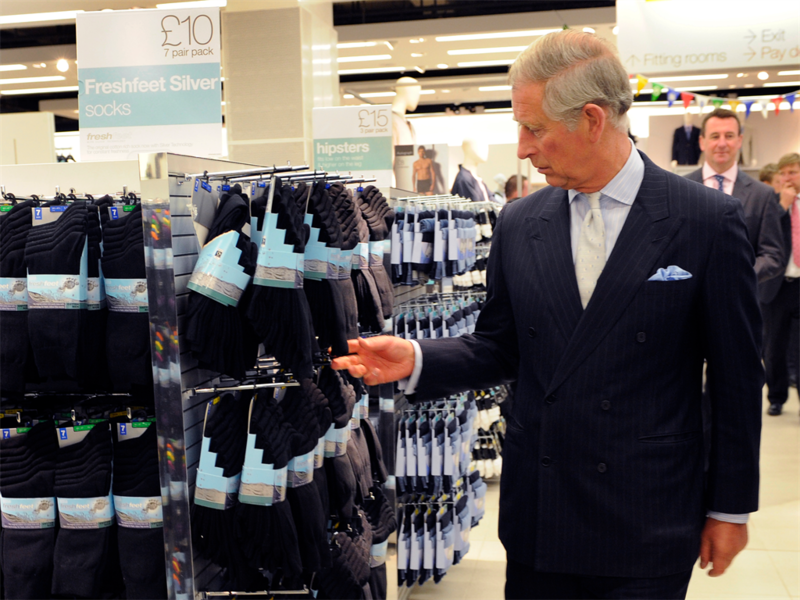 Prince Charles visited Marks and Spencer in the Westfield shopping centre in London in 2009. 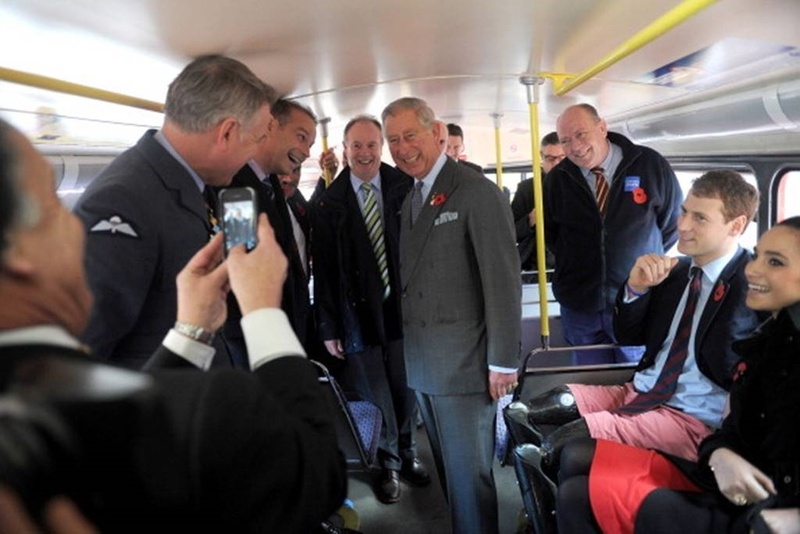 Prince Charles on the tube. He eats cake with his hands. 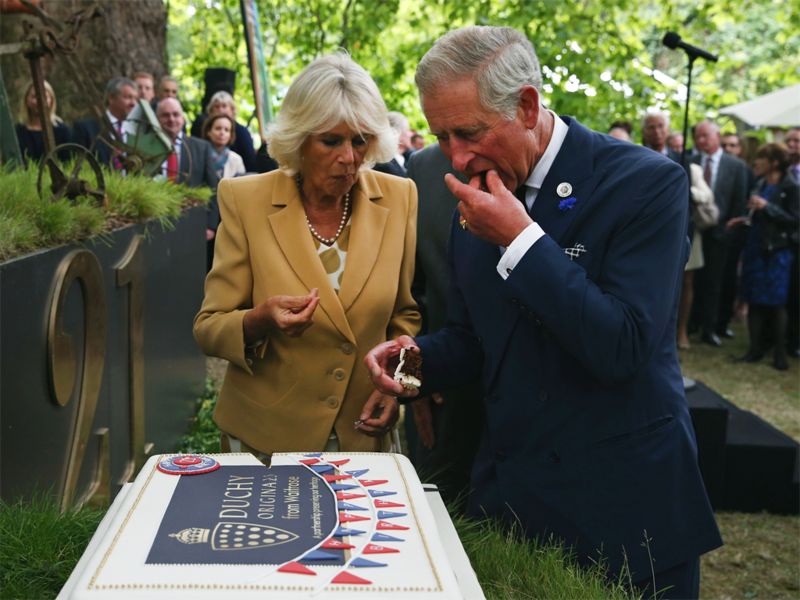 Prince Charles and Camilla cut a cake in the gardens of Clarence House in 2013. And he eats ice cream cones. 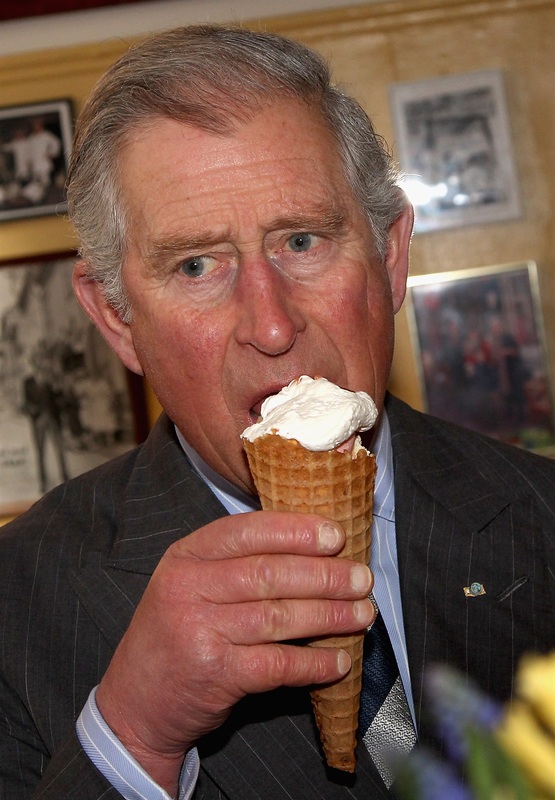 Prince Charles ate ice cream from Brostræde Fløde-IS, the oldest ice cream shop in Denmark, in 2012. He enjoys a nice cup of tea. 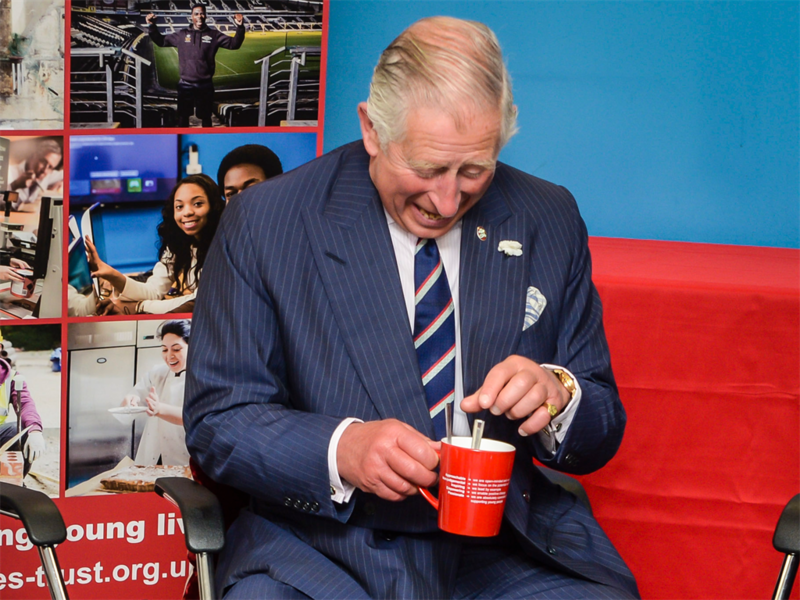 Prince Charles drank tea at the Prince's Trust centre in 2016. 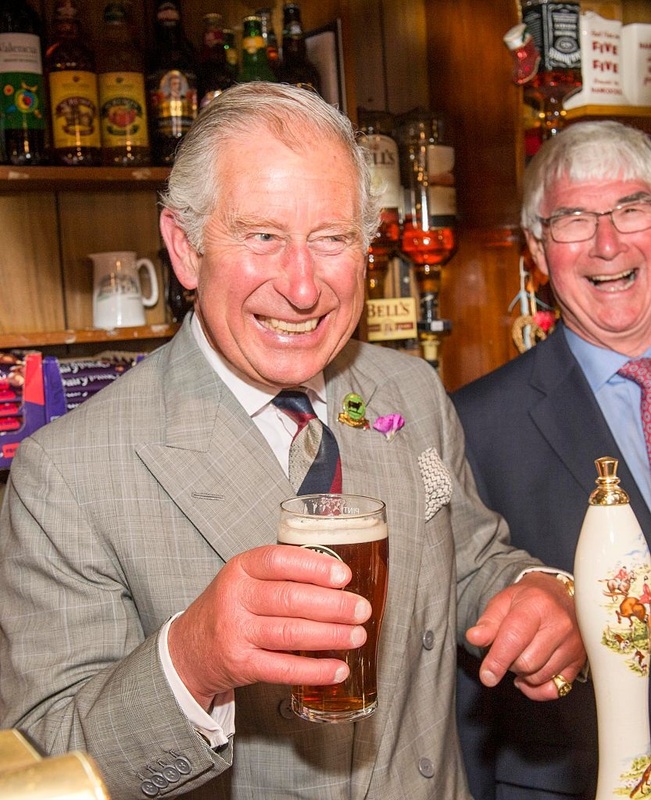 Prince Charles drank beer in Talgarreg, Wales, in 2015. He jokes around with his mother. 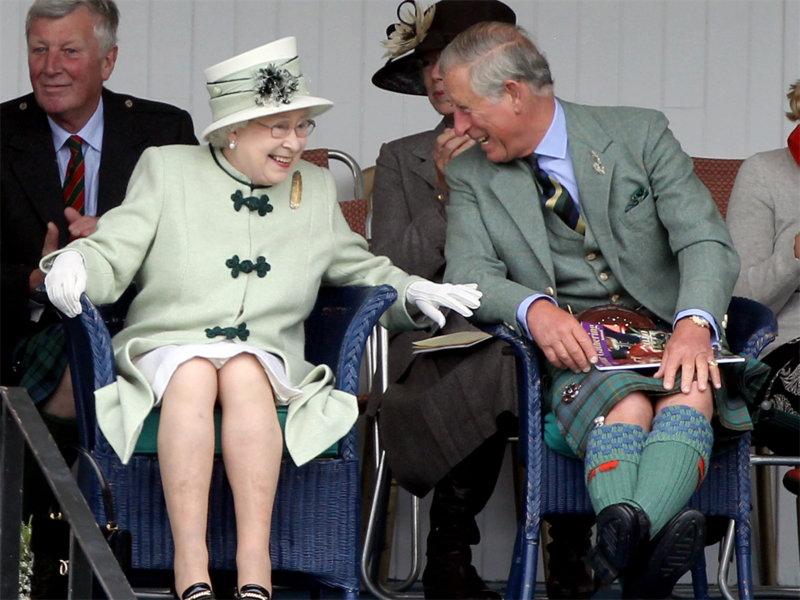 Prince Charles sat with Queen Elizabeth to watch the Braemar Highland Games in 2010. And laughs at things his sons show him on their phones. 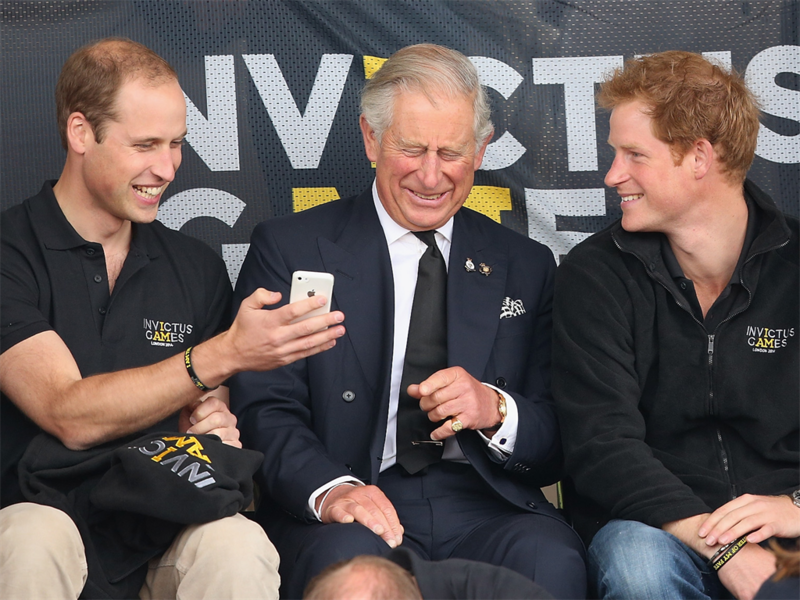 Prince William, Prince Harry, and Prince Charles, Prince of Wales, shared a laugh at the Invictus Games in 2014. He knows his way around a pool table. 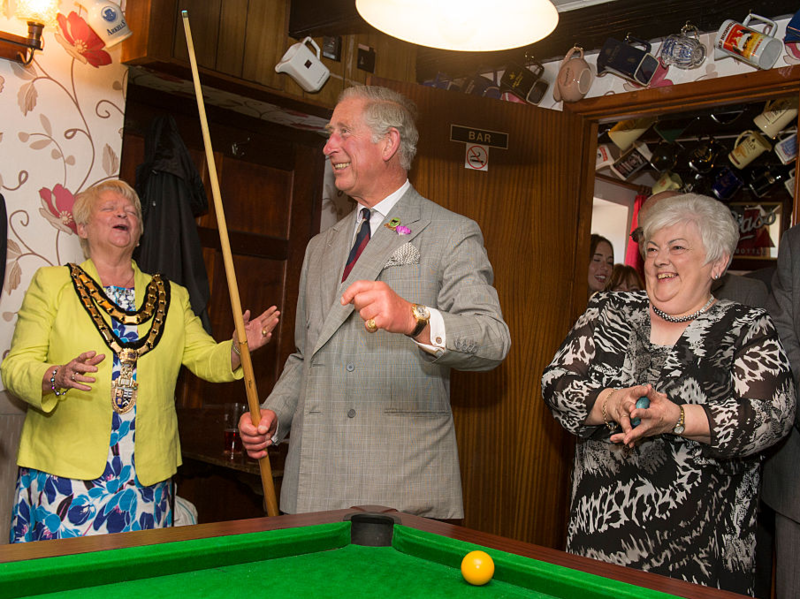 Prince Charles played "snooker" in Wales in 2015. He stops to smell the roses. 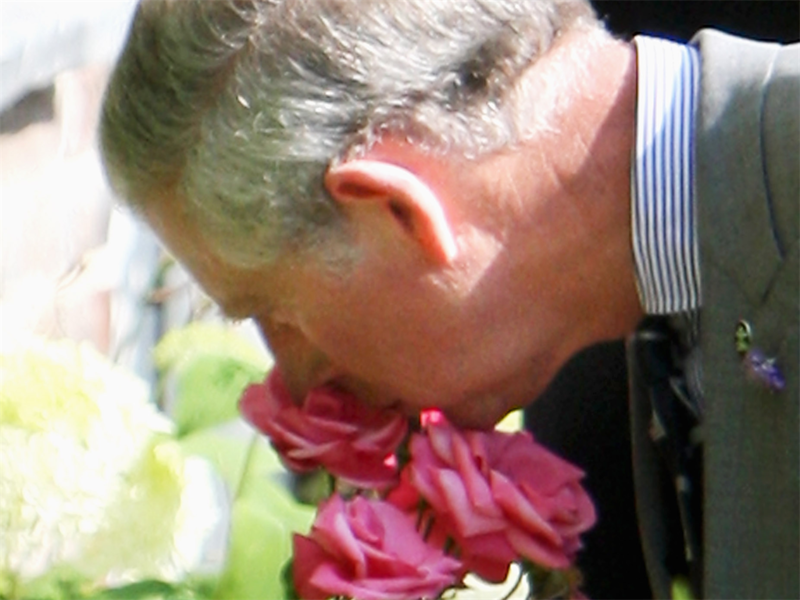 Prince Charles smelled a flower at Milton's Cottage in Chalfont in 2008. He serves up cafeteria food. 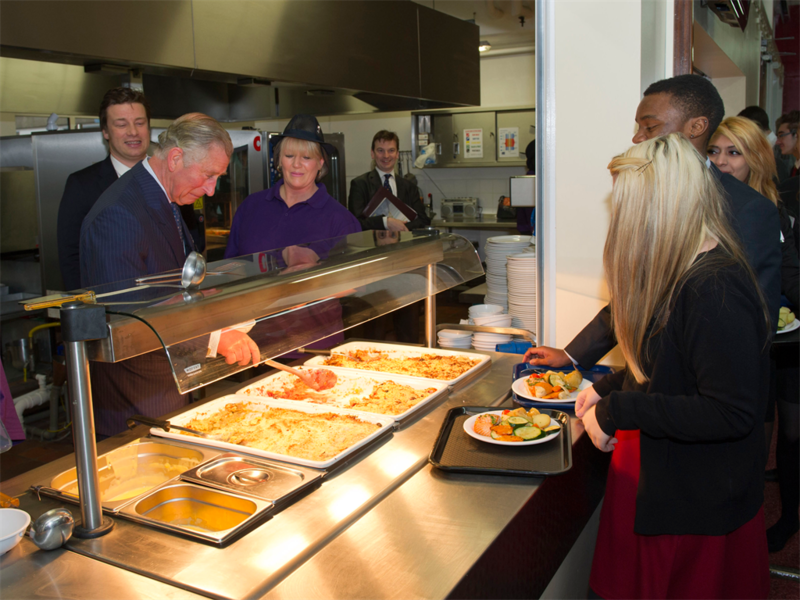 Prince Charles served rhubarb crumble during a visit to Carshalton Boys Sports College in 2012. 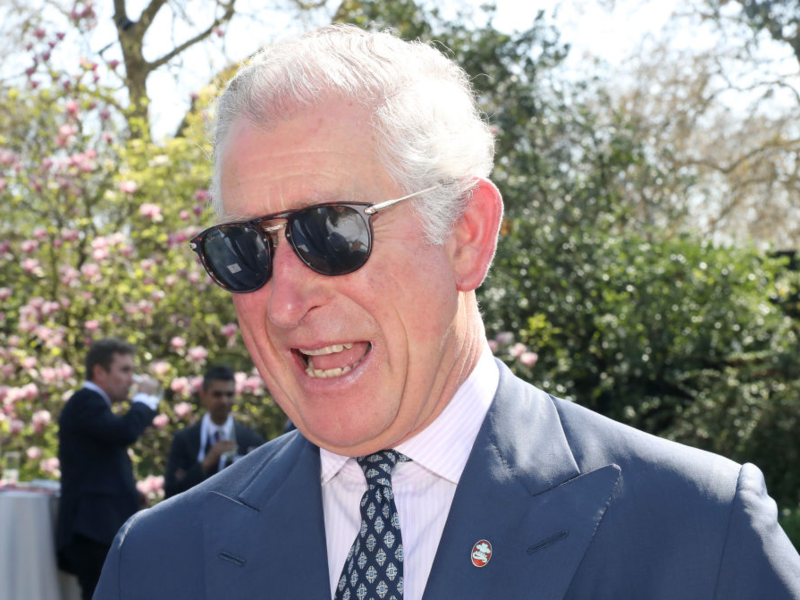 Prince Charles laughed with guests at Clarence House Gardens in 2018. He holds his own umbrella. 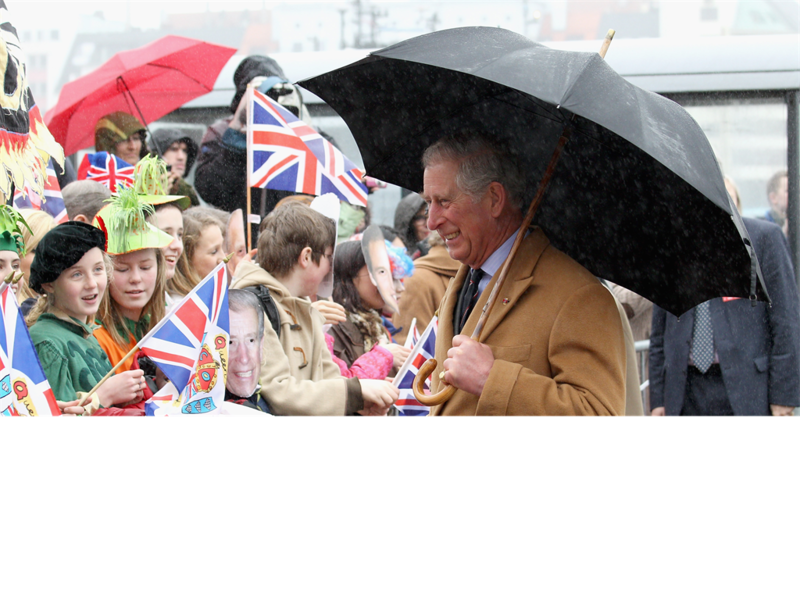 Prince Charles walked outside on a rainy day in Norway. He dotes on his grandchildren. 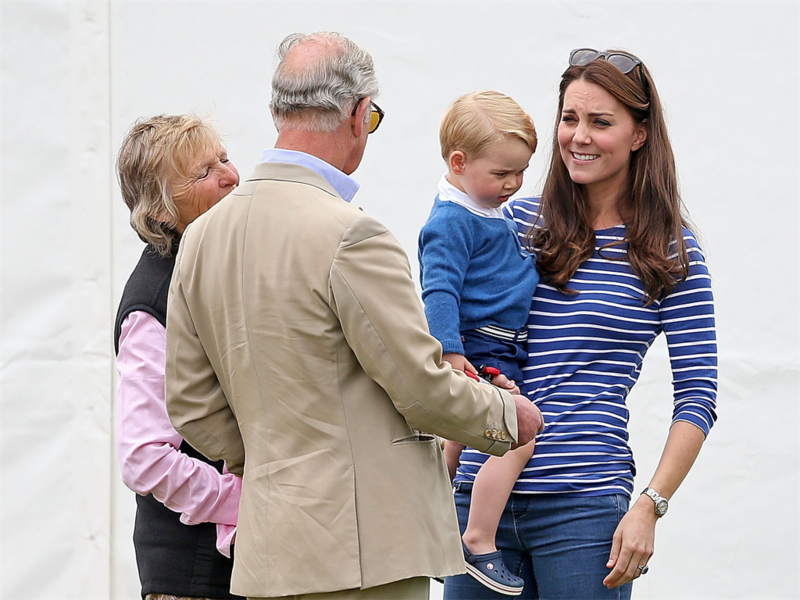 Prince Charles talked to Prince George with Kate Middleton at a charity polo match in 2015. He's also good with other people's kids. 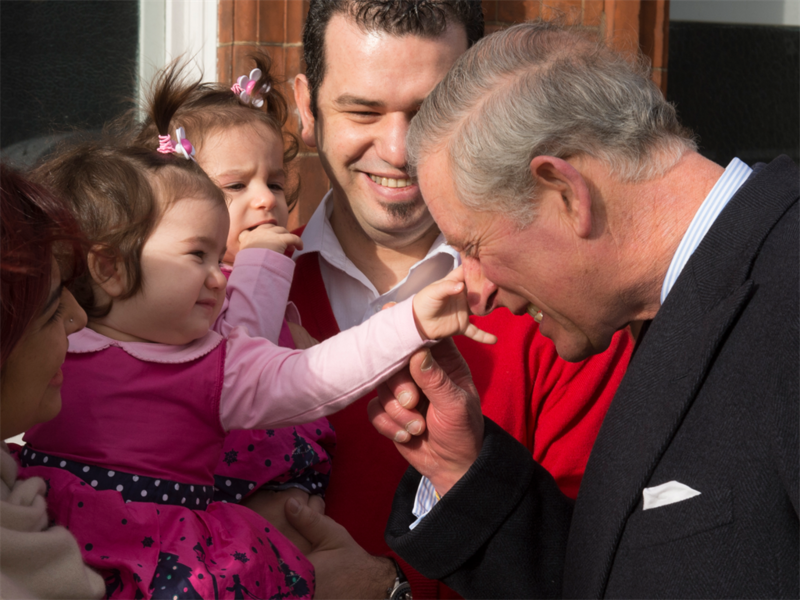 Prince Charles joked around with 12-month-old twins Kayla and Lara in Tottenham in 2014. 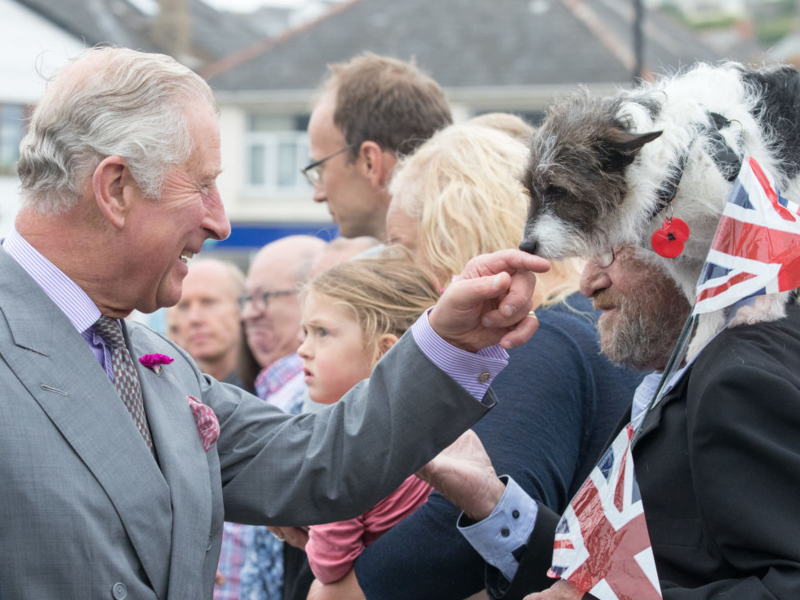 Prince Charles greeted Sophie, a three year old Jack Russell Terrier, in Porthleven in 2017.